Thanks go to the Camerata of Curiosities for giving an inspiring concert on Saturday in aid of our Campaign. 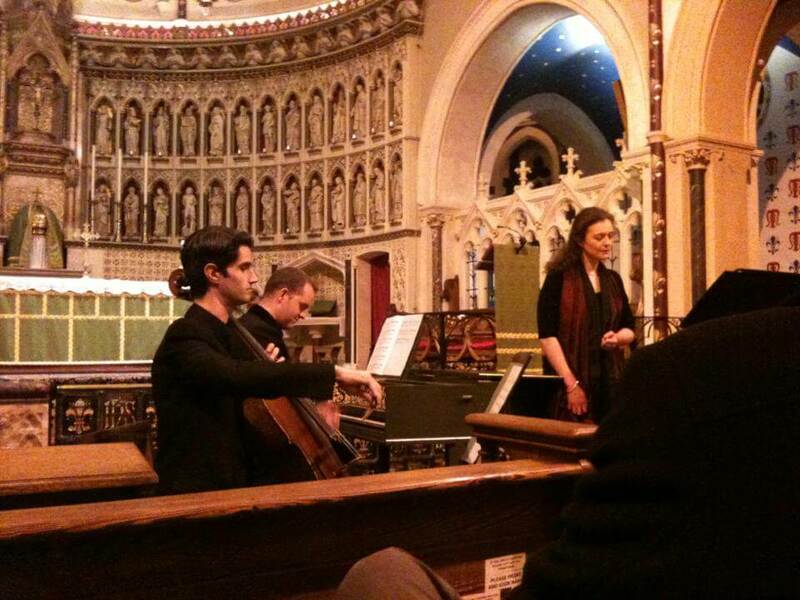 Jennifer Attia, Stephen Sweet and Andrew Knowles performed an exquisite selection of pieces, mostly from the Baroque period of the beginnings of the Oratory. Particularly appreciated was the "Deh piangi anima mia" from 1583. This is one of the laude which St Philip and his followers would have sung at the end of one of their walks and picnics, when the company would have recreated themselves with games and music, heard a sermon delivered by a child, and finished by singing one of these very simple but beautiful, vernacular spiritual songs. It was wonderful to hear the sound from St Philip's Rome coming to us afresh - and we hope that there will be other opportunities to do the same.